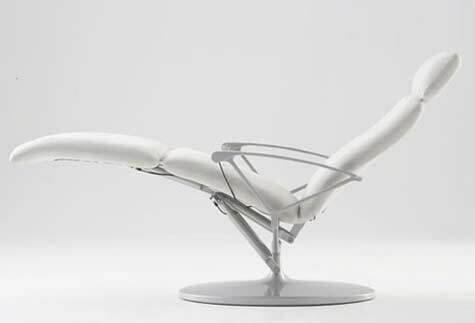 the 35 H Lounger from Designer Frédéric Sofia lets the eye rest easy on the smooth leather lines of this gorgeous relaxation machine. 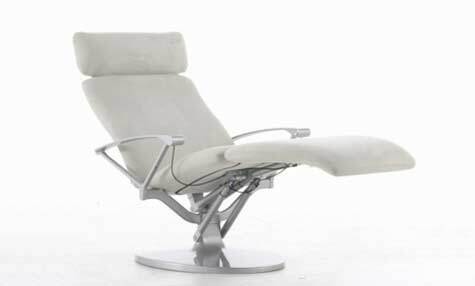 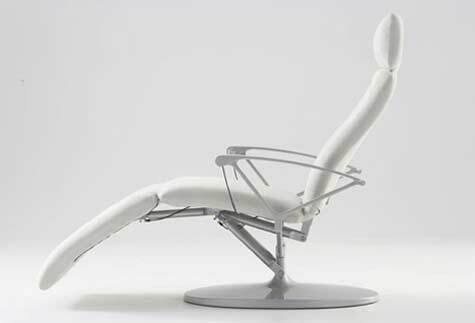 This relaxation armchair sits on an cast aluminum frame and combines state-of-the-art technology with ergonomic comfort and modern design. 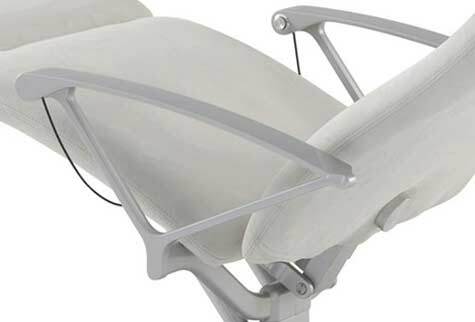 All the adjustments can be controlled from the arms of the chair. 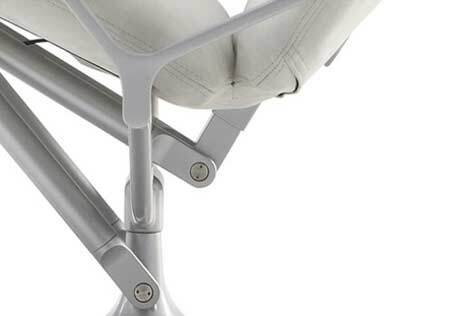 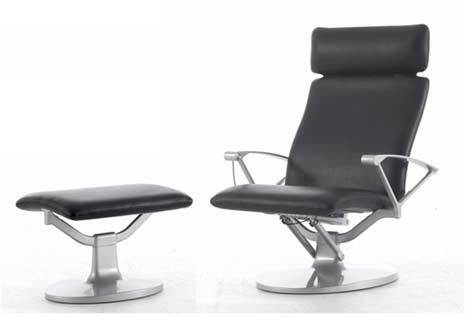 The bodyweight of the user automatically adjusts the angle of the back in relation to the seat via pneumatic jacks.